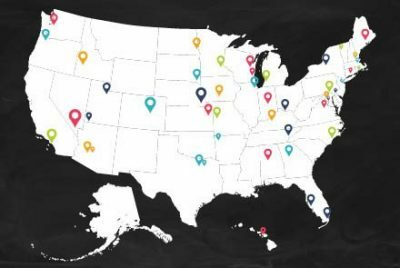 Gluten-Free Living > Gluten-Free Lifestyle > Gluten-Free Bakeries Across the U.S.
We originally published a map of dedicated gluten-free bakeries across the country in a print issue of Gluten-Free Living. But we couldn’t fit all of them—and wanted to keep the list as updated as possible—so below please find even more places for you to visit when you’re craving something sweet. And check out our map of dedicated gluten-free restaurants for the next time you want to try a new gluten-free option! Want more ideas, tips and destinations for gluten-free travel? Check out our Travel section! Looking for more gluten-free information?